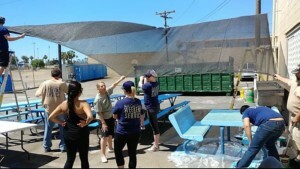 Boys & Girls Clubs of Oceanside recently received a full spring cleaning and renovation courtesy of North Coast Church’s Bi-Annual Weekend of Service. Volunteers gave the Clubhouse a spring makeover, painted the gymnasium, organized closets and extra storage space. Even sticky gum floors were scraped clean.